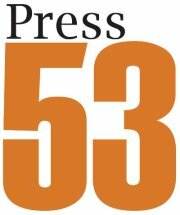 Today, May 3, is National Press 53 Day. (5/3 — get it?). I love Press 53, publisher of my 2009 linked story collection In an Uncharted Country as well as my forthcoming novel in stories, What the Zhang Boys Know. It’s a great small press that specializes in short story collections and poetry. Help me celebrate! There are lots of ways. If you already have my book, take a picture of it and post it on Facebook. (Seriously!) If you don’t yet own my book, please consider buying it from Amazon, your local Independent Bookseller, or directly from Press 53. (You can even order it from me at CliffordGarstang.com, which will get you an autographed copy.) And while we’re celebrating, visit Press 53 and see all the great books they’ve published.